Widely acknowledged to be one of China's most beautiful cities, Hangzhou is full of both natural wonders and historical sites. It is an hour away from both Nanjing and Shanghai and also quite close to Suzhou, another interesting city. There is a great bus network that you can track on your mobile phone. It is easy to get around the city without speaking Chinese. For fun, you can take a boat ride on the beautiful West Lake. There are KFCs and McDonald's if you get homesick, as well as many other types of foreign food. Air: Hangzhou Xiaoshan International Airport is located 27 kilometers away from the city center. You can access the airport by bus or taxi, and is the most effective way to travel to other parts of China. Train: Hangzhou has two train stations, Hangzhou Railway Station and Hangzhou East Railway Station, both of which are located in the city center. Getting around Hangzhou through bus or train is the most popular mode of transportation. Bus: There are several bus stations in Hangzhou, allowing you to access all of the city. The bus rides there cost 1 Yuan, however they only accept exact change so be sure to carry a few coins around with you. Hangzhou has 4 main bus station and two types of buses; regular and fast. The fast buses generally are higher quality and are faster in reaching your destination. Taxi: The taxi service in Hangzhou is friendly and glad to give out information to visitors. Every Hotel in Hangzhou offers a business card with the address in both Chinese and English which will help the driver drive you to and from your hotel. 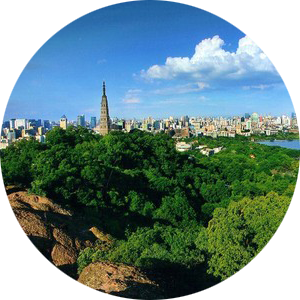 Hangzhou has a variety of modern and traditional shops and districts to buy all sorts of goods. With Hangzhou’s rich historical past the porcelain and ancient Chinese artifact markets are plentiful and authentic. If you’re looking for clothing or other modern goods you can go to the Hangzhou malls, which are renowned for their designer brands and other goods. The mixc mall offers a wide variety of department stores with a skating rink inside the mall. Whether its modern malls or authentic local markets, Hangzhou has something to offer all shoppers. Hangzhou is renowned for its freshwater seafood, which is plentiful throughout the city. JP Seafood and Grill is a hotspot for authentic seafood, and if you're looking for incredible Chinese food look no further than the BaiLu Restaurant. The gorgeous Hai Dao. Shen Hai Liao Li restraunt is well known for its stunning decor with an authentic Japanese cuisine. If your looking for a more western style of food the Mr. King Restaruant and Lounge is known for both its western and chinese food. If you’re looking to relax after a day’s work Hangzhou offers a wide variety of clubs and bars. The Haunglou Jazz Bar offers refreshing drinks with relaxing jazz music. If you’re looking party with other foreigners the G-Plus nightclub is known for its contemporary music and its hospitality. 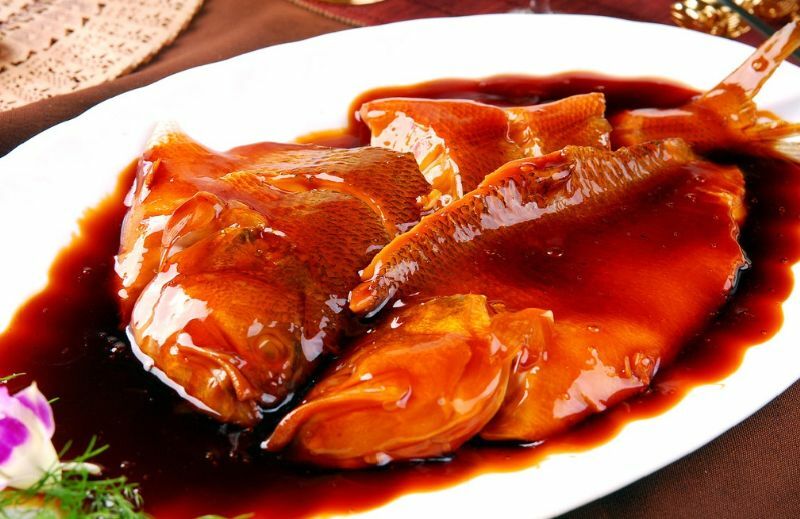 West Lake fish in sweet sour sauce is a must-have Hangzhou, which can be found at Lou Wai Lou Restaurant or Zhi Wei Guan Restaurant. The Longjing tea shrimp is a delicacy, and it known for its subtle tea accent. If you’re feeling adventurous the drunken shrimp offers live shrimp in an liquor based sauce. Shaoxing, Changzhou, and Jiaxing are all cities close to Hangzhou. They are certainly worth visiting.